Manchester VT Real Estate | Josiah Allen Real Estate Southern Vermont's Leading Independent Brokerage. Since 1962. 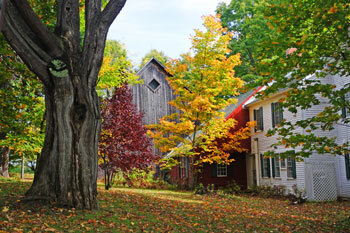 Manchester, VT is a picturesque New England town with beautiful views, great shopping and activities to do. There are about 4,500 residents and many yearly travelers who enjoy shopping at one of its many factory outlets. Both Burton Snowboards and Orvis were found in Manchester. Located in Bennington County and in the Green Mountain, Manchester has easy access to many local ski mountains, including Mount Snow and Stratton Mountain. There are so many things to do with friends and family, like play a round of golf at the Equinox, fly fishing, hiking and biking, spend a summer day at Bromley’s Sun Mountain Adventure Park, and so much more! Our local realtors know Manchester and its real estate market better than anyone around, and we are happy to help you find just what you're looking for. Don't hesitate to contact us today for more information and to schedule a tour. Register to save your favorite listings and receive notification when similar Manchester properties hit the market. You may also be interested in browsing real estate in Dorset, Vermont!